Google Summer of Code 2018: Thank you Google and welcome students! 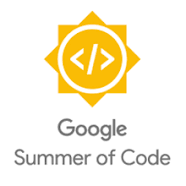 The Internet Archive is grateful to Google for running their “Google Summer of Code” (GSoC) program, providing support for students and open source projects. Anish Kumar Sarangi – Continue development of the Chrome extension “Wayback Machine” Today this extension is used by 10s of thousands of people to help them archive URLs, access archived content from broken links (404s, etc.) and perform other functions to help make the web more useful and reliable. We will build on that work, adding features, fix bugs and supporting efforts to bring this tool to millions of users. Zhengyue Cheng – Inventory the Web to help the Wayback Machine do a better job of archiving it. Today the Wayback Machine archives about 1.5 billion URLs/week. A goal of this project will be to help inform the selection of “seeds” for that effort, to help ensure our coverage is as complete and distributed as possible. We don’t know what we don’t know and this project will help us fill in the blanks. Fotios Tsalampounis – Add functionality to the Wayback Machine to help people learn about changes in web pages over time. Leveraging work done by the Environmental Data Governance Initiative (EDGI) we will continue to develop software to detect changes in the content of web pages and provide user-facing and API-based interfaces to those changes. Salman Bhai – Improve the OpenLibrary.org. Salman will lead an effort to write robots that will add hundreds of thousands of new modern book catalog records to OpenLibrary. He will also make OpenLibrary more robust and easier to deploy using Docker and Ansible. Each student has been paired with a “Mentor”, from the Internet Archive’s staff, who will help guide them to a successful engagement. At the end of the Summer we will publish blog posts here about the outcome of each project.